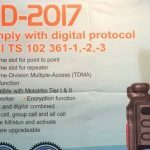 Back in November, a photo of a poster from PMR expo 2016 was published online, showing the MD-2017 model. At the time it was still a rumor, as no other official information was released from TYT. Just 10 minutes ago, the image you see above was published. 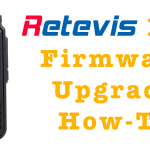 Still not at good resolution, but it provides some information. First and foremost, it is no longer a rumor. Second, the first 3 bullet points in the characteristics of this “leaflet”, indicate that it does support true TDMA. 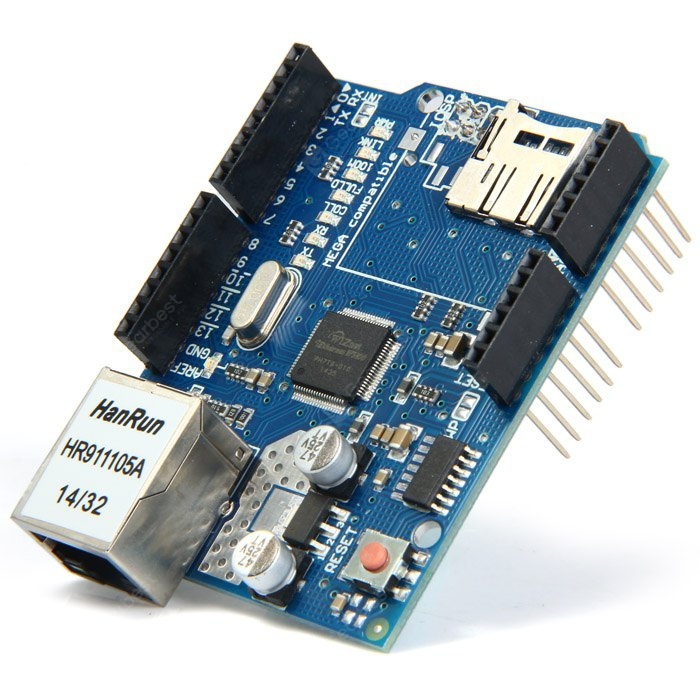 It is rated as IP67 waterproof (which is always a plus) and has a GPS module. 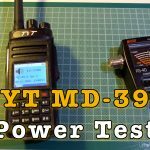 Most likely, this will follow other models from TYT like the MD-380 or MD-390 , which came in non-GPS and GPS versions. Other than that, the model looks kind of chunky in size. It has what looks like a proprietary antenna for waterproofing and a guard for the turning knob at the side. There does not seem to be a channel-selection knob, which is kind of weird. There are 4 buttons on the left side, with the PTT being in orange. On the right side is the cover of the accessory port, which is screwed on for weatherproof-ness. 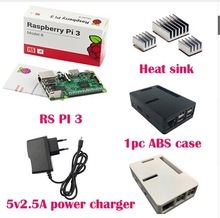 The keypad has two programmable keys (P1 and P2) which are shared with Menu and Back respectively. Between them, there is a joystick-type rocker key with an extra button at the center. Below these, the number keys with “0” at the left side. The screen is color and shows frequencies in large numbers. 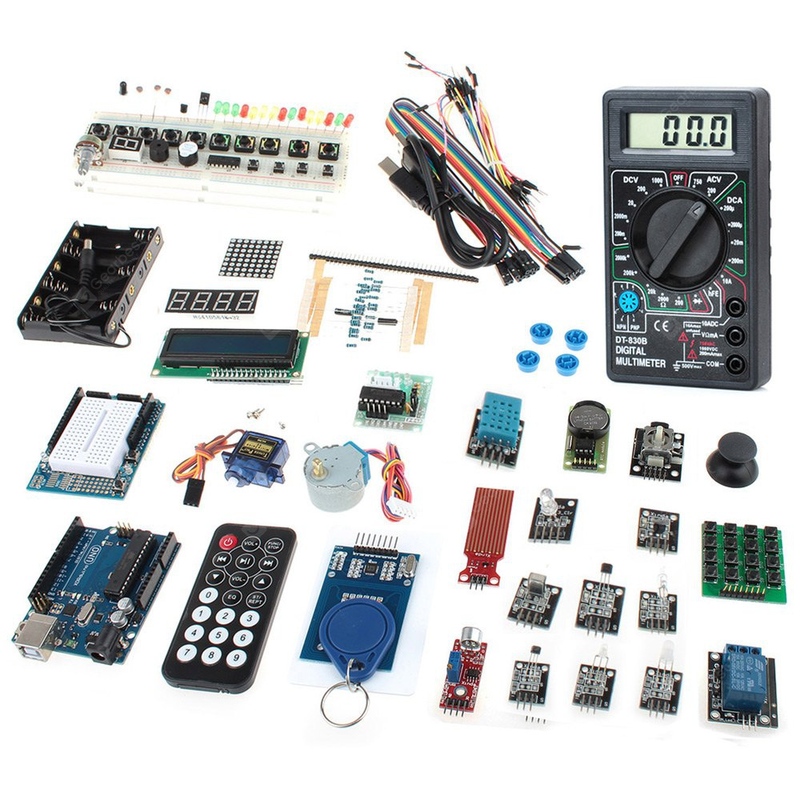 This is also an indication that the radio is most likely designed with ham radio usage in mind, instead of the commercially targeted designs of previous radios from the company. 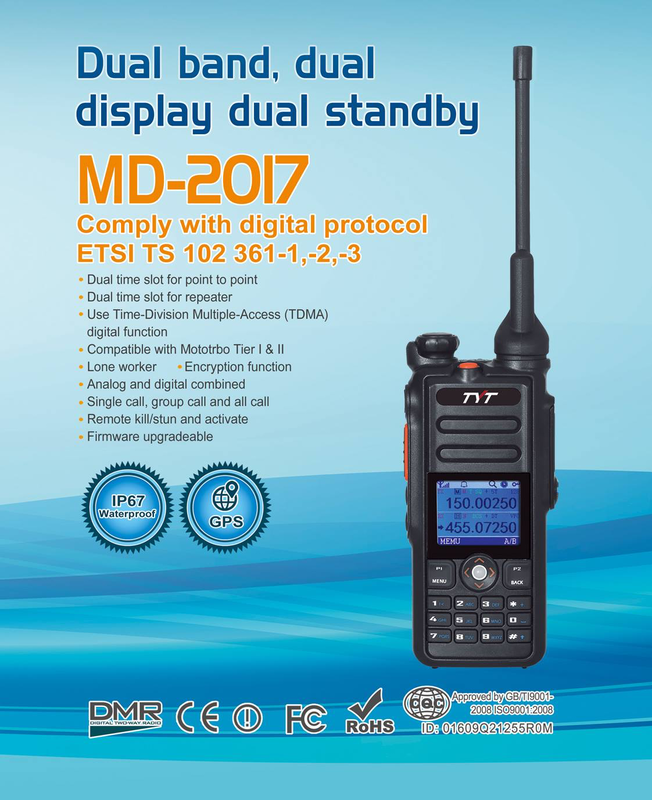 It makes sense that they would design the dual-band DMR radio more for the ham market than the commercial market. 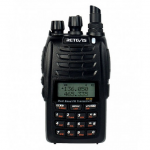 Commercial users very rarely have any need for (or interest in) a dual band DMR radio – which, of course, is why no one has bothered making one before. As hams have started moving towards DMR, there has been a lot of desire for a dual-band analog/DMR HT for much of the same reasons that we wanted dual-band HTs in the first place (yes, kiddies, a long long time ago, HTs were only single band analog FM). 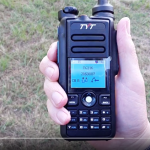 All the stir over first the April Fools Dual-band DMR radio, then the vaporware radios, and finally the DM-5R disaster, has demonstrated that there is a significant market among ham radio operators for a dual-band dual-mode HT. 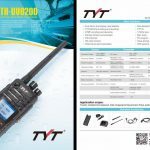 Now that TYT has announced theirs, I’m sure there will be a few hundred pre-orders, but I’ll still wait until a finished product is actually shipping and has been tested in the real world, but considering that TYT actually has produced a working DMR radio before (and they have a lot better reputation for build quality than certain other cheap Chinese HT brands), I’d expect TYT to actually get this one right. At least the engineers at TYT know what they are trying to accomplish, which is more than can be said for the company behind the last debacle. I agree, let’s wait for it to reach the market first. 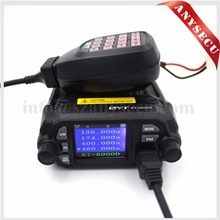 It is used to transmit the coordinates of the radio. This way, the receiving radio has the position of the other end. 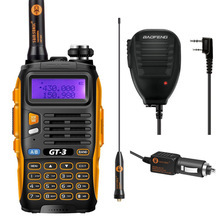 I have one and love it..great on Dmr and analog as well as two bands.